The 23rd September marks the start of the arts season. For La Nit de l'Art, the Mallorcan version of La Nuit Blanche, the galleries and museums unite to create art lovers route through Palma's old quarter. 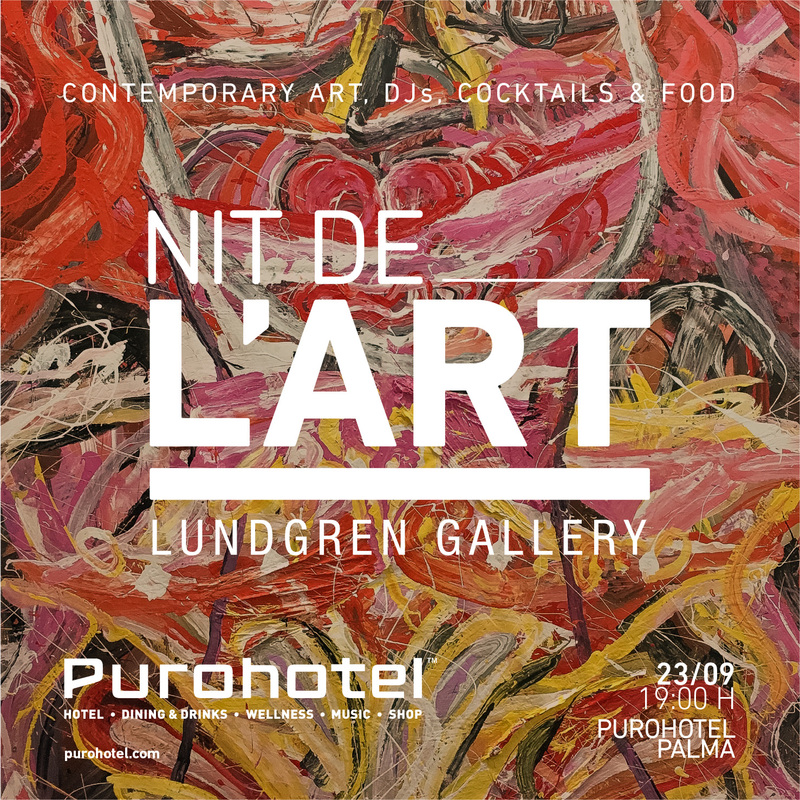 Art empassions us at Purohotel, and we wish to make our contribution by celebrating the first anniversary of our collaboration with Lundgren Gallery. We will host a remarkable contemporary art exhibition on an international scale. Purohotel Palma and its lounges, indoor patios, terraces, restaurant and bar will be converted into a gallery on La Nit de L’Art with remarkable contemporary art filling its spaces. These valuable pieces come from the United States, and their artists will also be present during the event: Jacolby Satterwhite (New York), Luis Gispert (New York) and Gerald Davis (Los Angeles). 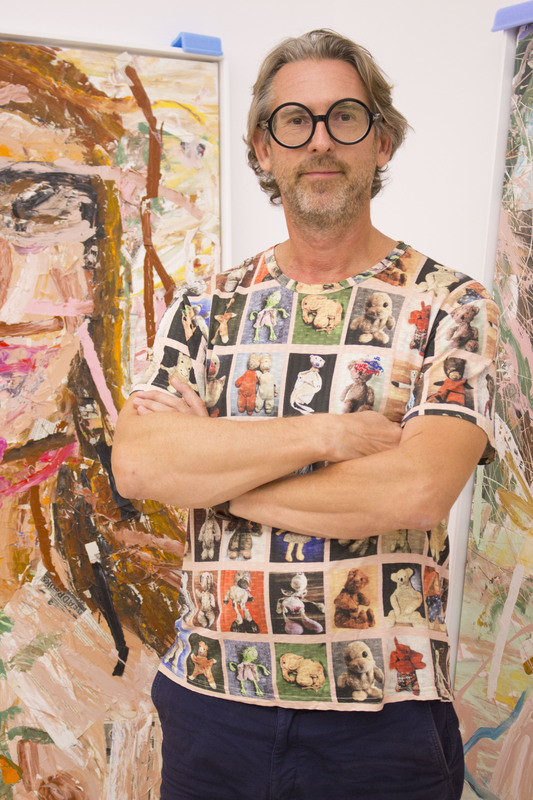 Steffan Lundgren and his wife Parnilla, owners of the prestigious Lundgren Gallery in Palma, will also be on hand to present the works on show. Our team had the pleasure of interviewing Steffan (who is also an artist and collector since he was 18 years old) about his passion for art and life. "The artists our gallery represents have become part of my family. 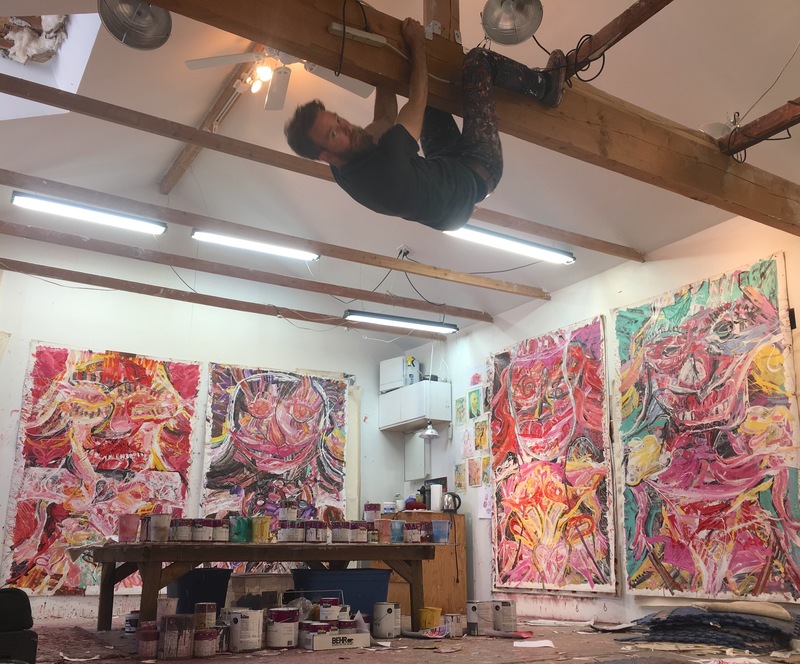 All of them are unique and special and for us it is a source of pride to see how they have grown professionally, their works are sold around the world!” proclaimed Stefan as he sits on one of the chairs in his diaphanous gallery. The current exhibition of international contemporary art is a wonderous sight, and he becomes lost in the vibrant colours of one particular piece of artwork. This one invites the mind on a journey through the sensations. "Our experience as collectors allows us to advise both architects and owners who have acquired a new residence, or to create unique interior and exterior spaces, through our vision of art. " "For the Lundgren Gallery, Mallorca is a bridge that connects us with our customers. Our friends are busy people who come from all over the world: New York, London or Tokyo. They always in a hurry, running here, there and everywhere. What's curious curious about the island and its way of life, is that it makes them stop. Here they relax, forget about their routines, have coffee with me and talk. Talk about many things, life, art. Mallorca is the perfect place for the Lundgren Gallery to be." Stefan's statement makes us feel at home and reassure us that we will find more collaborators like Lundgren Gallery, with whom we share the same values ? ?and the same way of understanding our raison d'etre : that life is best lived with the art of the passion. Passion for what you do.